Real estate isn’t what it used to be. Today’s technology has given sellers the ability to get an appraisal, list their home, and market it online. Meanwhile technology such as mobile apps enable buyers to search for homes, get pricing comparisons, and check out neighborhood statistics from their phones. 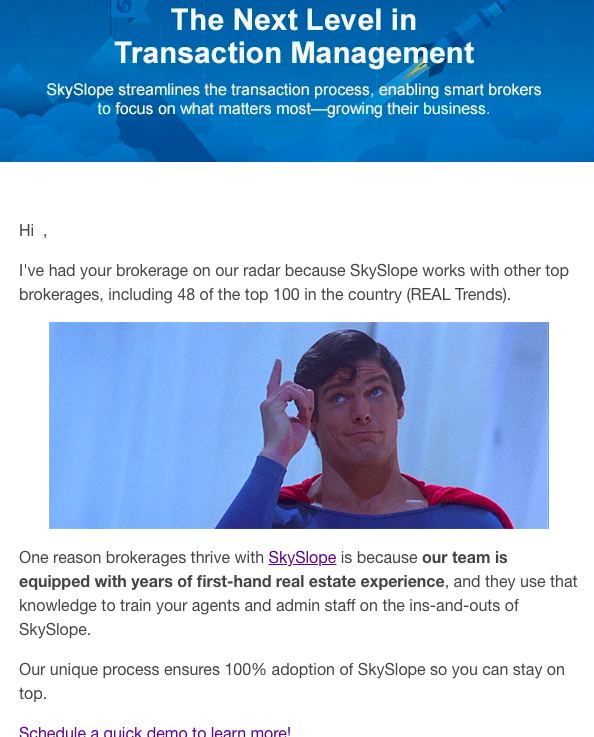 While some thought this spelled the end for traditional real estate brokerages, SkySlope thought differently. Headed up by Tyler Smith, one of REALTOR Magazine‘s “Top 30 Realtors Under 30,” SkySlope believed it could ensure the value of a brokerage by delivering a superior Digital Transaction Management system. What is Digital Transaction Management (DTM)? 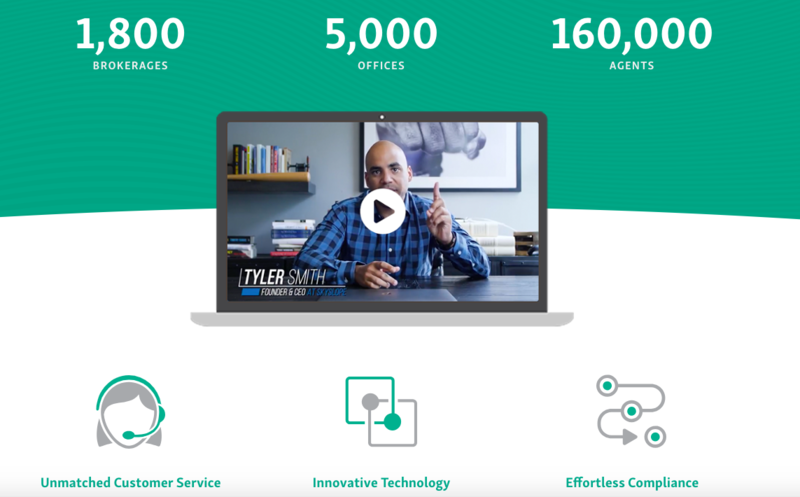 A true DTM solution like SkySlope empowers brokers, realtors, and their administrative assistants by automating everything. Within an all-in-one platform, SkySlope’s DTM simplifies every step of the buying or selling process from start to close. It offers fast and easy auditing; up-to-the-second tracking of all activities; compliance with state regulations; e-signature capabilities; and real-time business analytics for smarter decision making. But SkySlope isn’t the only DTM solution on the market; there are other, less robust, systems available that brokerages may gravitate toward simply due to cost. In order to boost industry knowledge of DTM and show what makes SkySlope the best solution available, the company decided some serious inbound marketing was in order. Who did they turn to? Bluleadz. Bluleadz immediately got to work, with the understanding that the majority of realtors are baby boomers in their mid-50s—a group that may be wary of or uncomfortable with current technologies. To help these customers better grasp the DTM solution and realize the benefits of using SkySlope, a demo was determined to be the best solution. This would give SkySlope's potential customers hands-on time with its DTM and make the product more "real", improving the odds of getting them onboard. SkySlope had a demo, but needed to find ways to promote it to their target audience. So, to promote the demo opportunity, we created and delivered emails to educate and excite brokerages both big and small. Where did a click take new customers? 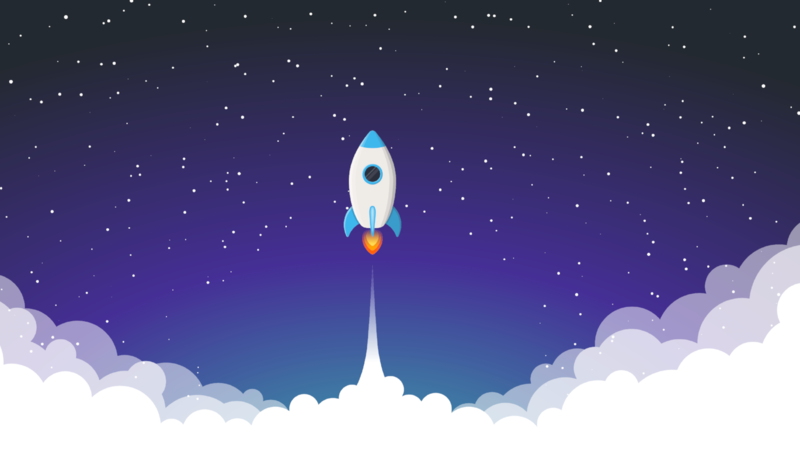 To a brand new landing page that helped increase website conversions from 0.3% to a whopping 12%, increasing the conversion rate by a factor of 40! The new page created by Bluleadz features impressive numbers and a quick video from SkySlope’s own Tyler Smith. Becoming a thought-leader in the industry was also of the utmost importance. SkySlope was operating under a relatively content-free website, so Bluleadz set out to change that. 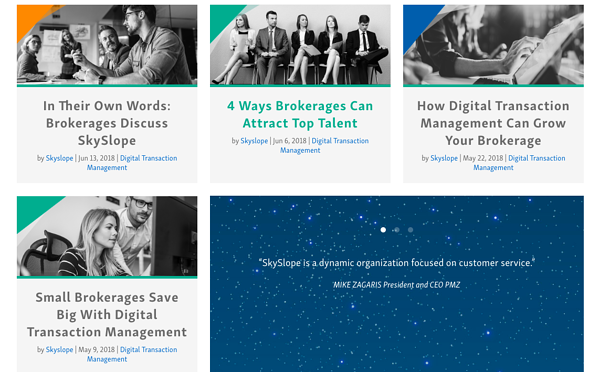 Under a new blog name of SKYHIGH, Bluleadz created weekly blogs that addressed the concerns of brokerages while engaging realtors and promoting DTM. Several of these content pieces used video to help demonstrate the function of SkySlope's DTM solution, generating more interest in the product. How’d we do? Today, SkySlope is enjoying more website traffic and garnering more leads than ever before. Take a look at these numbers Bluleadz has helped to generate from March 1 through May 31st of 2018. 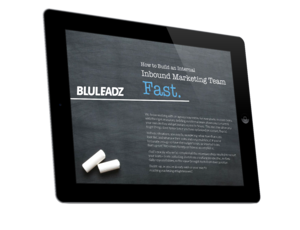 Since 2009, Bluleadz has been creating inbound marketing solutions that drive success, and SkySlope is just one of many success stories. Learn more about Bluleadz here, and visit SkySlope to discover how they’re revolutionizing the real estate industry.